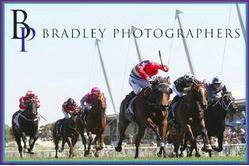 Kim Waugh Racing Stables :: Mighty Marmalade Finishes another Unlucky 2nd! Mighty Marmalade Finishes another Unlucky 2nd! Mighty Marmalade has certainly come back from a spell better than ever but with 2 close-up 2nds against her name she certainly deserves a change of luck! Her most recent run on Sunday at Wyong in the 1100m C1 handicap saw her come from well back to circle the field around the outside only to be beaten a quarter of a length on the line.